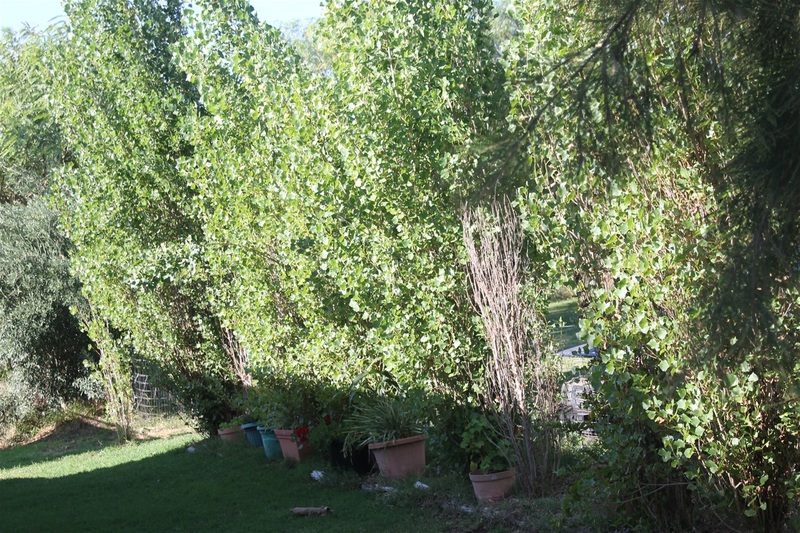 My Poplar hedge! I love it another experiment but apart from it being seriously thirsty, do like the way it looks! A couple have perished but putting Hibiscus and pots in there!